You must be a member of Daffnet.org in order to create Posts and Comments. When you enter your information, all form areas must be filled. “Username” is your choice of login names such as “mickeymouse” or “donaldduck”, but must be unique in that no one else on Daffnet already uses it. Your E-mail address must be valid and in use by yourself because the registration process sends you E-mail to validate your mailing address. We encourage you to use your real ISP mailing address rather than the various free mails services like Hotmail, Yahoo mail, or Google gmail. The reason for this is 99% of the spam bots that try to sign up for Daffnet come from those free mail services. The information you enter on the Registration form will be used by Daffnet administrators to determine if you are a real person who is interested in daffodils. We will not approve your application if you do not convince us. When you have completed your registration form, a verification email will be sent to your E-mail address. You must click the verification link to submit your application for review. Image 3 is a partial display of what a verify message would look like when viewing with the Thunderbird email program. The link that you would need to mouse click will be similar to the blue “Verification URL”. After you mouse click the verification link, your browser will be directed to the “Administrator Approval” screen. You will not be able to login at this point because an administrator needs to approve your registration request first. Approval is a manual process where an administrator reviews your information and decides to approve your membership or not. The administrator will likely approve your application if you have made a sincere effort to fill in the form information. The time required for approval depends on our workload and the number of pending registration requests. Typical requests will be approved in a few hours but there are times it will take longer. 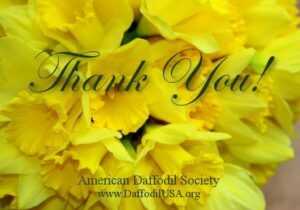 The information entered on a Registration Form is used by Daffnet administrators to determine if the request comes from a real person who is interested in daffodils. We will not approve a registration request if we are not convinced. When your request is approved, you will receive an E-mail with the subject “Your login information” with specific login information and a URL link to the main Daffnet site page. The requester can now login to Daffnet by clicking on the “Login” button and entering the information provided in this E-mail. Image 4 is a partial display of what the “Your Login Information” message would look like when viewing with the Thunderbird email program. The link that you would need to mouse click will be the blue “https://daffnet.org URL”. Enter your Username and Password provided in Step 5, then click the “Log in” button. Image 5 is the Daffnet Login Screen which will be used this time for your first login and for all subsequent logins.